Enter Public's Cocktail Contest To Win Bragging Rights & Cash! Do the words vodka and soda make you yawn? Does your drink order entail a list of instructions (right down to the garnish) that somehow manages to completely transform your favorite watering hole's signature libation? Take matters (or a cocktail shaker) into your own hands, and enter your masterpiece into a super-cool cocktail contest sponsored by Public Hotels. Simply submit your best drink recipe for a chance to win a $1,000 cash prize (hello, shopping excursion!) and have your winning concoction featured on The Pump Room's seasonal specialty cocktail menu. Considering this Gold Coast bar is always packed, we'd say that earns you some serious bragging rights, too. Just remember that the devil is in the details: Your recipe must specify all ingreds, glassware, garnishes, preparation instructions, and measurements. Oh, and one more thing: Your creation must utilize at least one spirit with at least 40% alcohol. This isn't a kiddie cocktail contest, after all. Cocktails will be judged on originality, use of product, presentation, and taste — obvi. After all of the submissions have been collected, the public will vote for their fave based on the look (you have to submit a snap, too) and description. The top three recipes with the most votes will move on to the final round where they will be put to the taste test by Ian Schrager, Jean-Georges Vongerichten, Ari Bendersky (aka Chicago editor of Eater), and Tobin Ellis of BarMagic. 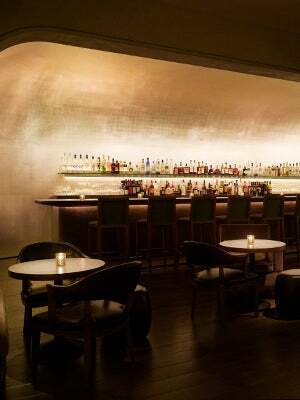 You only have until August 6, so enter now at publichotels.com/cocktailcontest.